Wings of Fury – Games for Android 2018 – Free download. 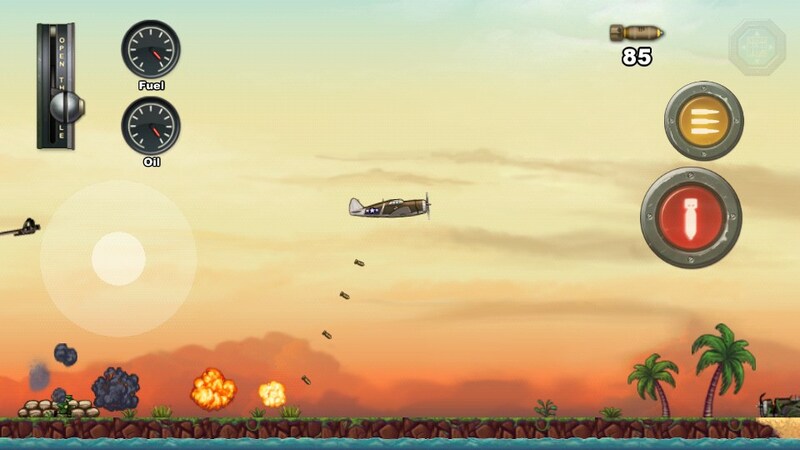 Wings of Fury – Protect your island from enemies. 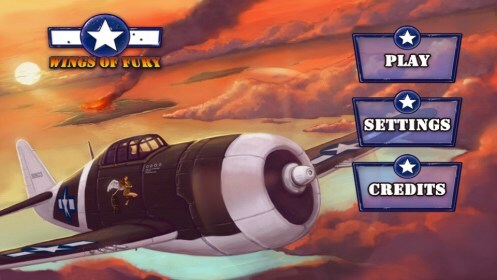 Wings of Fury - This is a fun game for Android-devices, in which you will learn to fly a bomber or attack aircraft. In principle, the aircraft will be the same. 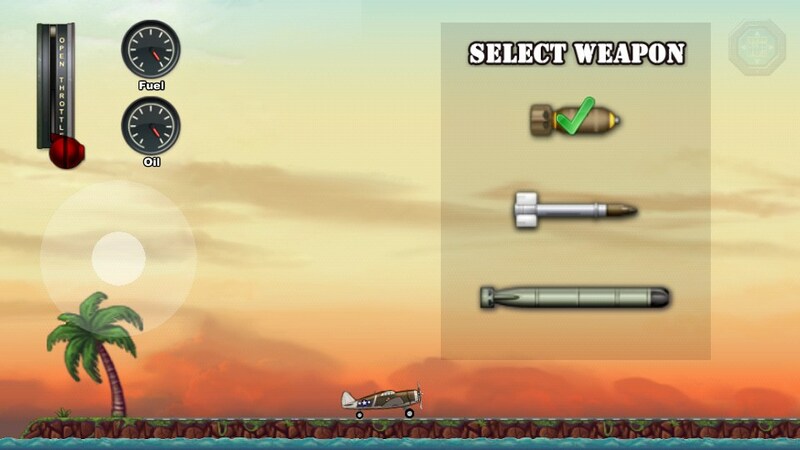 The only difference in weapons, which will be equipped with iron bird before a mission. The first thing you need to do to start fighting, is to try to take off. Must approach this task very seriously and precisely perform all the prescribed actions. Once you have forged an aircraft engine and increase its speed, acceleration starts, followed by a rise. At the time of separation from the chassis of the runway you will either need to lift up the nose up or remove the chassis. Immediately it should be mentioned that it is desirable not to squander fuel and try to refrain from the afterburner. 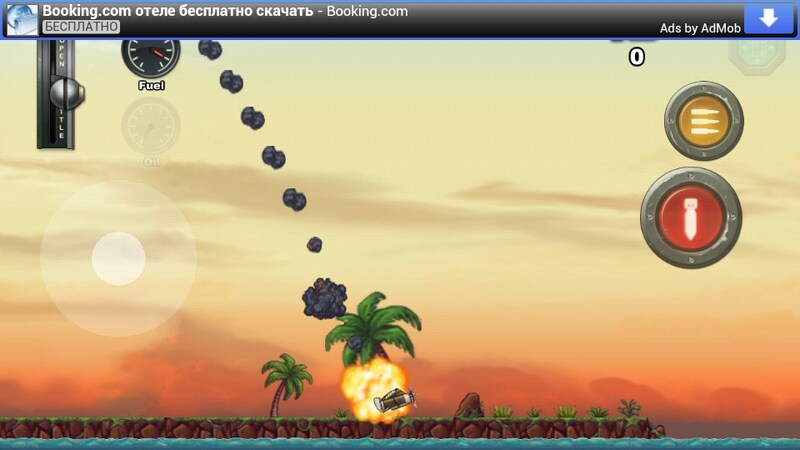 The more very soon on the horizon seem island where entrenched enemies, armed anti-aircraft installations. 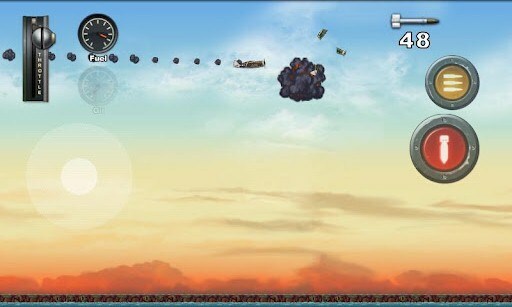 If you fly over the enemy at high speed is too high, you simply will not be able to conduct high-quality bombardment. Flying over the accursed island, should not adhere too little height, so you can cut into the tree and fail the mission. That life will not seem like a fairy tale, one you do not get off the bombardment even if get by antiaircraft guns, bunkers and fortifications. You simply expel the enemy soldiers out of the shelter, and they will run on the contused island. 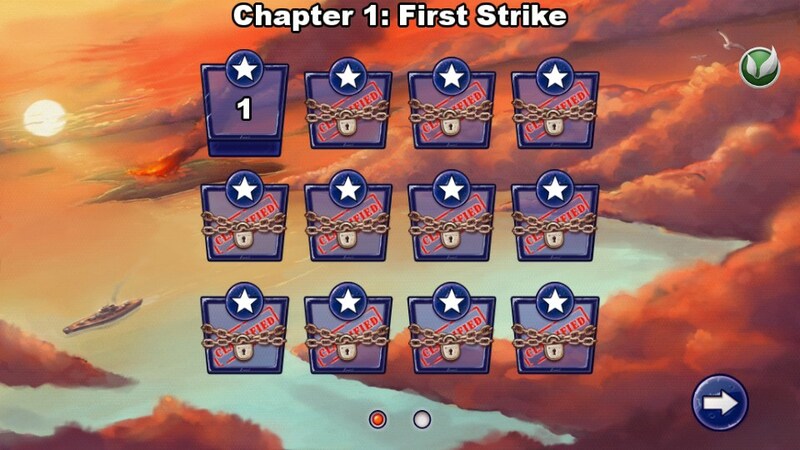 To destroy them, you have to turn the plane and to bomb again. In the case of successful operation the task will be only half, because you still need to return to base and successfully land the plane. Landing requires tremendous effort and a great reaction, because you need to manage and speed of the aircraft, and its height and the landing gear in time. Control of the game is quite simple and does not require special skills. 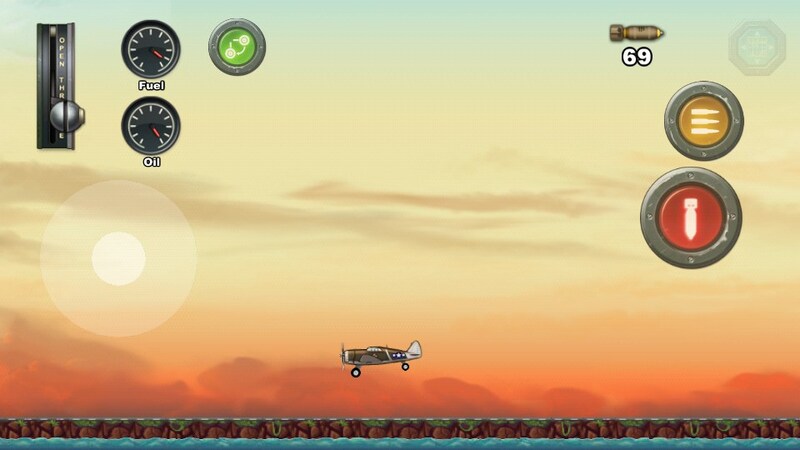 Lever responsible for conditions of the engine and the speed of flight, is located at the top left of the screen. Next to him at some point there is a button control gear. Just below is a virtual analog stick, responsible for the height and turn the aircraft. The right side of the screen you will see two buttons, one of them is responsible for the machine gun, and the second for the discharge of bombs and launching missiles. In graphic terms Wings of Fury is made very well, and in spite of 2D-image with modest effects, toy pleases the eye. Sound corresponds to the situation on the other side of the screen and resembles cartoon style. 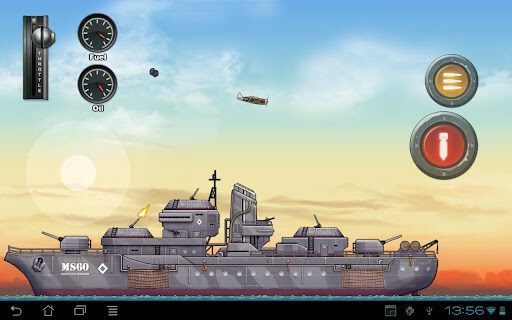 There are two versions of this game: one is completely free, but with ads, the second commercial-free, but there is Donat.